Quebec City will start emptying the Saint-Pascal pumping station at 11 p.m. on Thursday evening. The city says the operation is necessary to do maintenance work on the structure. Quebec City is warning residents it will be dumping 46 million litres of untreated wastewater into the St. Lawrence River over a 12-hour period starting Thursday night at 11 p.m. The city is asking residents to limit water consumption during the operation, which is expected to end at 11 a.m. on Friday. Spokesperson Wendy Whittom said during that period, sewage will be dumped directly into the St. Lawrence, "although there is a grid in place which retains solids," she wrote in an e-mail to CBC. Maintenance work is required on the Saint-Pascal pumping station, which entails emptying it entirely to allow workers inside. Whittom said not doing the repairs could damage the structure of the station, which was last emptied in November 2016, when 135 million litres of untreated water were washed into the St. Lawrence River. 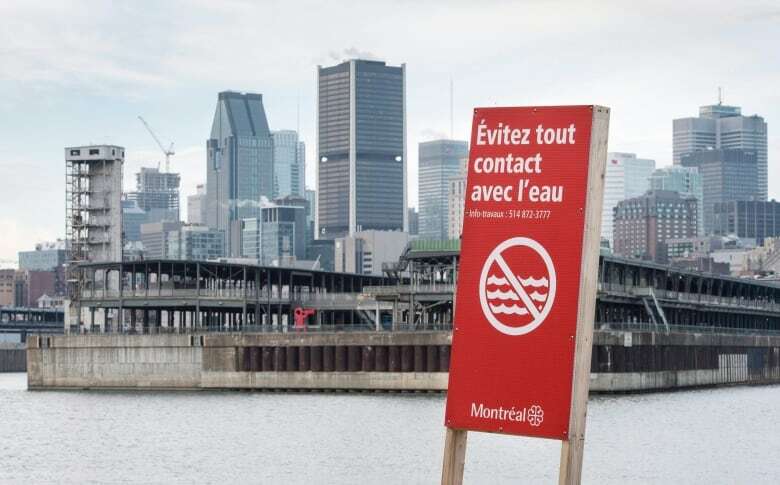 At the time, Régis Labeaume said the procedure was fairly common, although the controversy over Montreal's flushgate episode in 2015 has forced the city to be more transparent. Montreal dumped some 4.9 billion litres of untreated wastewater into the St. Lawrence in November of that year. Scientists with the city of Montreal later found the water quality of the St. Lawrence River returned to normal four to 10 days after the dump ended. Their report, however, suggested that the city should have improved its communications strategy to better inform the population and avoid the public outrage that ensued. Quebec City said this week's operation was timed to minimize its impact on the environment, with dry weather and cold temperatures. Whittom said doing the work in one night will lower the quantity of untreated water that will end up in the St. Lawrence. She said the frequency of this type of operation depends on when repairs are needed. The city also dumped 8.5 million litres of untreated wastewater into the river on Dec. 7, 2017, from a sewage pipe which runs under the Pont de Québec. The city said it has advised Quebec's Environment Ministry, as well as Environment Canada and Fisheries and Oceans Canada. CBC reached out to the provincial and federal governments for comment but has not yet received a response. A year after flushgate, is Montreal ready for urban beaches?